Local officials talk a good game about government transparency and accountability. And while city council members and county supervisors often go through the motions of conducting official business in an open and public way, on the biggest, most costly and consequential issues that come before them—issues that dwarf all others by orders of magnitude—those same elected officials revert to total secrecy. I am referring to decisions on compensation and benefits for public employees–which, for most cities and counties in California, consume north of 80 percent of all government spending. Regardless of one’s party affiliation or views about local taxes or the value of government services, there is no credible argument that this is a good thing—that the public ought to be excluded from such crucial deliberations. Not in a democracy. Collective bargaining agreements covering government workers are, almost everywhere, written in secrecy by negotiators who, on the government side, receive their marching orders from elected officials meeting behind closed doors. Proposals, counter-proposals, and the final handshake on an agreement all take place in an information blackout, with zero public scrutiny of, or input into, the inevitably difficult choices and trade-offs that must be made. The public’s first look—at an agreement that could profoundly affect all local priorities and policies well into the future—comes only after approval by the union rank-and-file and on the eve (literally) of a city council or board of supervisors meeting at which the deal will be offered for a perfunctory vote of approval. When first made available to the public, in other words, the collective bargaining agreement is a fait accompli in a process that makes a mockery of democratic self-government. The consequences of this process are painfully evident in the federal bankruptcy proceedings of cities like Vallejo, San Bernardino, and Stockton. But, fortunately, some local communities are rejecting the status quo. During the past year, Orange County, Costa Mesa, Pacific Palisades and Fullerton have enacted transparency ordinances—referred to as “Civic Openness in Negotiations,” or COIN, measures—that, in various ways, seek to open a window to the decision-making process for employee compensation. Decisions about workers’ pay and benefits in these southern California jurisdictions should be much more transparent under the COIN measures. For one thing, there will be an opportunity for public vetting of the assumptions (about tax receipts, returns on pension investments, life expectancy of retired workers, and the like) underlying the government’s pay and benefits proposals. If government officials are counting on wildly optimistic projections, they should be called out by the press, by local watchdogs, and by securities analysts (for banks that are potential buyers of the government’s bonds). Most important, the transparency reforms will slow down the last stage of decision-making: when an agreement with public employee unions is referred to the city council or county supervisors for ratification. The reforms give the public a reasonable interval to review and analyze the agreement and to pose hard questions to elected officials–before the final vote is taken. In the case of Orange County, the proposed agreement must be debated at two board meetings and the agreement text must be published on the internet at least seven days before the first of those meetings. Not surprisingly, public employee unions oppose these transparency ordinances. But the unions would be making a mistake to try to block them. Public support for government unions has been sinking. Regardless of why that is happening or who is to blame, the unions’ chances for recovering their influence do not depend on how much money they contribute in local elections. Recovery depends on winning back the trust of voters, something that can only happen in a transparent process in which unions make their best case, based on complete and accurate information, to the people directly. Holding public meetings for decisions on all local issues, except the ones that truly matter, is a fraudulent version of democracy. It’s time California cities, local districts, school boards and counties got serious about open government. Their elected officials should embrace transparency in decisions on workers’ compensation and benefits. If they don’t, voters will replace them with new representatives who understand the concept of public accountability. 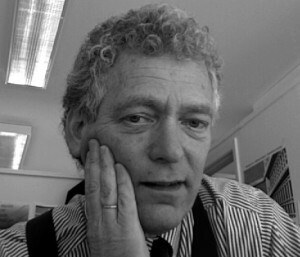 Peter Scheer, a lawyer and journalist, is executive director of First Amendment Coalition. Understand that I think government has excessive waste and that politicians are generally self serving. Having said that, I see no reason for the publication of the wages and benefits of employees. Transparency is good, to a point. The United States is a representative republic. Our electable officials are placed in office to make decisions on our behalf. There is no right for us to know everything that goes into every decision or to manage those processes. We are given oversight by public meetings and most importantly, the power of the ballot box. Effective leaders cannot please everyone and have to make decisions that are in the best interest of the citizens. Quite often, many will disagree for a political, personal or other reason. The best people do not serve due to the scrutiny. If we want better public servants we must encourage better qualified people to run, then give them the ability to do their jobs with their performance review coming on election day. I think that labor negotiations should be more transparent. In most government agencies over 70% of your tax payment goes towards salaries and benefits. Go to http://www.tansparent california and you can compare the pay of government employees to those that do similar work in the private sector. Exactly how do you do that? When city leaders are negotiating with a union do they stop the process and put the items to a public vote to approve before entering into an agreement. Just not possible. Elect the right people and let them do their jobs. Elections matter. Excellent points. Daylight is good. However, what government does in private that hurts taxpayers isn’t limited to pay negotiations. 1. Hiring is also done in the dark, and the city council members, who know nothing at all about contracts, are manipulated into signing onto outrageous contracts for people like the city manager and city attorney. Since this is done in the dark, and not in public, there’s no corrective for the ridiculous provisions that get put into these contracts. So, hiring also needs to come into the light. 2. “Real estate” negotiations also take place in the dark. Originally this provision was for things like eminent domain negotiations, so the other side wouldn’t know the city’s strategy. Today it is widely abused. For example, the Copelands went to the city secretly and more or less demanded the Chinatown parking lots. Negotiations proceeded in private, in violation of numerous city rules, and the first the public knew was when the city sent out a press release announcing, in violation of many rules, that they were selling the land to the Copelands — when nobody knew the land was even “available.” The upshot: The Copelands bought about 2 acres in the heart of downtown for $1.1 million, when its market value was more like $22 million. The little Morro Street city office building alone, included in the deal, had been appraised at almost $3 million. This thievery of taxpayer-owned property took place because negotiations were totally in the dark. Only the formal votes, after everything was worked out, took place in public, and by then everybody who counted was on board. This is wrong, unethical, and immoral. There’s a lot of stuff public officials do in the dark that would better be done in the light of day. Been sinking? That would assume public support for government unions was ever afloat. The only people I ever see in favor of a government union is a government union employee. Even private sector union people grumble at the thought of public employee unions, as well they should. One of the most cogent commentaries I have read in a long time. Nothing in this speaks of anti unionism or anti government. Full disclosure is paramount to self government. I sure hope that Mr. Scheer gets help for that toothache he has. Sure. Listen, this sounds nice. But what about places where the unions are the stronger party? In those places, without confidential negotiations, the governments will get rolled because no one will want to oppose them even as a tactic. This is all fine in Orange County. Try it in Alameda County or other such places. I wish I had a rigid ideology that would take all of the complexity of the world away. You WISH you had a rigid ideology that would take all of the complexity of the world away ? It’s called stupidity. It’s rigid, alright. Ignorance can be improved with education and instruction. Stupidity is a fixed ‘asset’. So they would NOT get “rolled” by the unions if done behind closed doors? I fail to see how transparency would exacerbate that scenario. Its time to get the unions out of government. All levels of government are being corrupted by the greedy, organized-crime thugs in charge of the Public-Sector Unions. I want to get the UNION of Big Club Corporatists out of government. They act in concert…just like a Union, except they have far fewer members; thus easier to control. The influence in dollar terms is conservatively estimated at ten – to – one advantage over the working/slave class . The ‘billionaire class’ and global polluters Koch Brothers have announced that they are putting almost a BILLION $$$$ into the US political 2016 races. Two racist, inbred brothers…that have done nothing, NOTHING on their own ( they INHERITED all of their ill gotten wealth ),are making decisions for themselves that are contrary to MILLIONS; But they can do it because they have the legal justification of a UNION of BILLIONS of dollars. In my opinion, You people hating unions….whatever the F you call yourselves, need to go. And I don’t care WTF where ! You’re a poison to civilization. I am actually PRO union. If there were no unions, nurses like me would be caring for patients with all KINDS of diseases with inadequate gear and protection. The nurses in Texas that cared for the Patient with Ebola did not have the gear recommended by the CDC, and a nurse got sick because the staff was incorrectly told what was needed for sufficient protection/precautions. The American Nurses’ Association has been advocating for that nurse, and other nurses in substandard clinical settings. Nurses would be flown in from 3rd world countries to provide YOUR lifesaving nursing care. You may think that is embellishment, but I assure you, you friendly non profit hospital would LOVE to lay off nurses like me and bring in a nurse who would work for half the pay, and also give less than half the care. Now, if you are half dead in the hospital to begin with, do you REALLY want to take your changes with a nurse who is not at a standard of US quality? Sure, they can be prepped and prepped to pass the state test, but there is something to be said for responding to a patient’s medical crisis vs. anticipating the crisis and catching it before a patient deteriorates. This is the difference between the nurse you want and the nurse you WILL get if Unions were not around to protect the Nurse, and thus you. Let’s not forget pay. If I work for a hospital, and if my superawesome skills and sunshine-y demeanor help recover a patient faster than the “pathway” of care, *I* helped save the hospital $$$. If I do that over and over, which I know I have because I have been TOLD I have, then I SHOULD get a raise. If there were no Unions, those hospital CEOs and Nursing Directors aren’t going to think I need one or “deserve” one. Unions make sure nurses like me get raises when we meet the requirements we are supposed to meet. You know, a contract. Imagine that. Fairness. Why are people these days so blatantly opposed to fairness? CEO’s who make millions and billions of dollars have contracts. They are just people like me. No more or less special than any one of us. Wouldn’t it be WONDERFUL for each of you out there to know that if you did your job well (which “well” is defined as fulfilling the terms of your job description), you would get a raise each year? Wouldn’t it be great to NOT have to beg and fight for a raise? If Unions were too overreaching, which IF they are you can bet it was in the “law enforcement” categories, then re-examine THOSE contracts. Many Union contracts have tiers now for retirements/pensions. The thing to remember is that Unions help protect workers from unsafe conditions, give workers a voice, and help ensure “fairness”. In a “right to work” state, where you can get fired and not have a clue why, I would think people would WANT some rights. What about freedom? If unions are such a great idea, why is membership mandatory? If members believe that the benefits of membership outweigh the costs then they will pay the dues. In addition, are nurses not highly educated? Why were those nurses working in facilities with improper equipment? Did they not have the free will to move to an employer that provided adequate protection. And no, raises are not a right, no matter how effective you are. There are many business owners that see profit fluctuations. Who guarantees their wages? When business revenues decrease (economic cycles being one reason) must they still pay higher wages to employees doing a good job? I would encourage everyone to do a good job, learn more skills that make you further valuable, communicate appropriately with your employer about your new skills and the value that you provide that exceeds others that work with you and ask for the appropriate increase. If the employer fails to provide it, go find an employer that will. You have the freedom to do that. Your employer should have the freedom to pay the wage that they feel appropriate as well. Safety in equipment not only protects the nurse, but also the patient. A nurse not properly protected can spread infectious diseases, like Tuberculosis, from patient to patient, room to room if not careful. A GOOD nurse would not stand for a hospital administration cutting corners for the nurse’s sake, but also the patient’s sake. You should think about that the next time you ever choose to or must go to a clinic, a hospital, an ER for care. Do you WANT the nurse that just rolled over and let the hospital ignore safety caring for YOU? I understand your need to look at the bottom line as a business owner. I truly do. And as an employee, I will always understand there is a bottom line. However, sometimes investment in to infrastructure, safety, etc saves money down the line. Upgrading equipment and having adequate supplies is much cheaper in the long run than a lawsuit or 10. Investing in your employee by compensating them for good work saves money in the long run as well. It is cheaper to keep a good employee to lose them to a competitor. Retraining staff and then losing them to turnover is high. A union nurse knows what she/he will make, and what she/he must do to earn raises, be considered a good employee. I see this as a very simple concept. The muddiness of the issue is that, as in all things, a small minority of crappy people ruin it for the majority. Your industry (healthcare) is in a terrible predicament. Reimbursements are declining due to the ACA. This has caused large numbers of providers to shut down across the country. Independent providers are being forced to join management groups because they cannot afford the requirements of ACA with the reduced reimbursements. Employees, people like you, will not see pay increases any time soon due to the increasing financial burden of the companies that you work for. You can’t expect companies with decreasing revenues to give pay increases. The simple concept is that you don’t need a union to bargain for more money for you if you are doing a good job and improving your skills. Concessions made by the companies in negotiations with the unions forces them to pay wages and benefits to everyone they employee at certain levels regardless of performance. If you have a union contract, negotiated on your behalf by the union, why would the company pay more? As far as adequate equipment and supplies, I understand that some companies cut corners. As an educated and skilled worker, you would be served to change companies immediately if you recognize your employer is doing that. If they start to lose valuable employees and their performance suffers, they will be forced to make adjustments to their practices to be competitive and stay in business. The Free Market Solves the Problem. Introducing Collective Bargaining Units creates these issues. Please don’t take the “people like you” comment as a negative. I used it to demonstrate the fact that you are in the workforce rather than ownership of a firm to differentiate profits for companies from wages for employees. Public employee unions should be illegal…why do they need protections from their boss the tax payers? Oh ya….to screw us!!! Federal Employees do not possess the right to strike as private sector unions do. Unions are pst their “sell-by” date. They may have been helpful 100 years ago, but not any longer. They use force because otherwise, very few would join. The Pension Reform Initiative seeks to change the way all this is done: No entity could pay more than 50% of the benefits/retirement package; no more defined benefit retirements starting in 2019; and voters get the final say on giving more. This takes the decisions out of the hands of elected officials who may or may not like their public employees and puts it in the hands of the taxpayers, who may still be generous if they so choose. If they choose – that is the point. Current retirees would continue to get their money. It’s a win win for everyone. For more information go to https://oag.ca.gov/initiatives/active-measures. Oceano Community Services District and $ 250,000 salary and benefits for manager of a small bankrupt public agency with only six employees is a good example of change needed to protect taxpayers. Oceano is bankrupt? News to me. We get it. You guys hate Pavo. I don’t hate Pavo, I don’t know him, I do think he is way over paid. Now Mary Lucey she is getting close to the “hate” word. What a piece of work that gal is. Has to get stoned every 30 minutes ( she says) for medical reason. Just who I want over seeing the running of my town, a stoner.